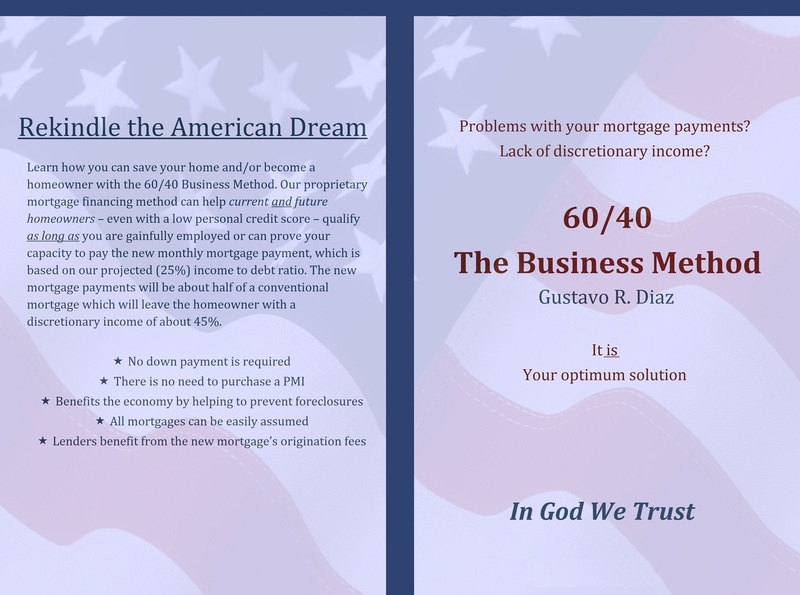 We are a newly-formed company that has developed a system to modify existing mortgage loans. We do this in a way that provides borrowers with long-term solutions that address their willingness and ability to pay their mortgage. Modifying the loans, helps them stay in their properties. Avoiding delinquency and defaulting on their obligations. REKINDLE is directed and operated by seasoned industry professionals having excellent reputations, bringing their unique experience to the company. Their broad knowledge of economics, finance, bank, mortgage, strategy, insurance, real estates, system engineer, information technology, marketing, and management, position the company for long-term success.